Home › Uncategorized › Happy birthday, America! Today’s the day! 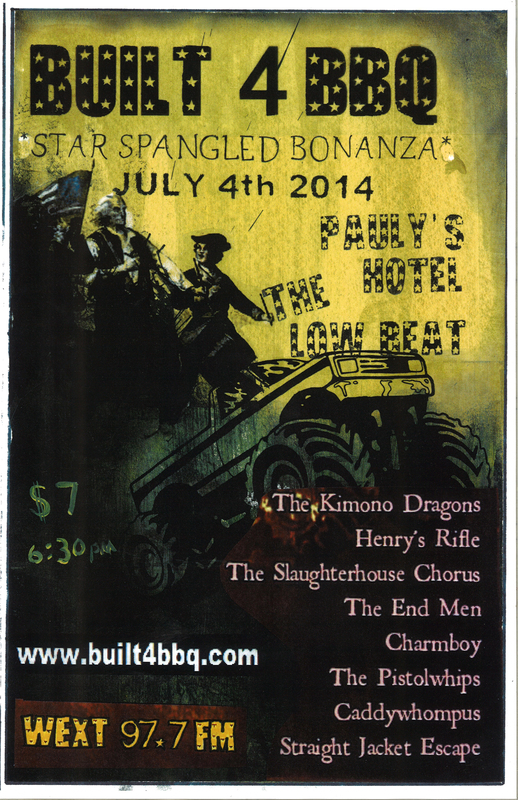 Spend America Day with Built4BBQ at the Star Spangled Bonanza, featuring 8 awesome bands and the release of our second compilation album, The Entree! Come and get it!